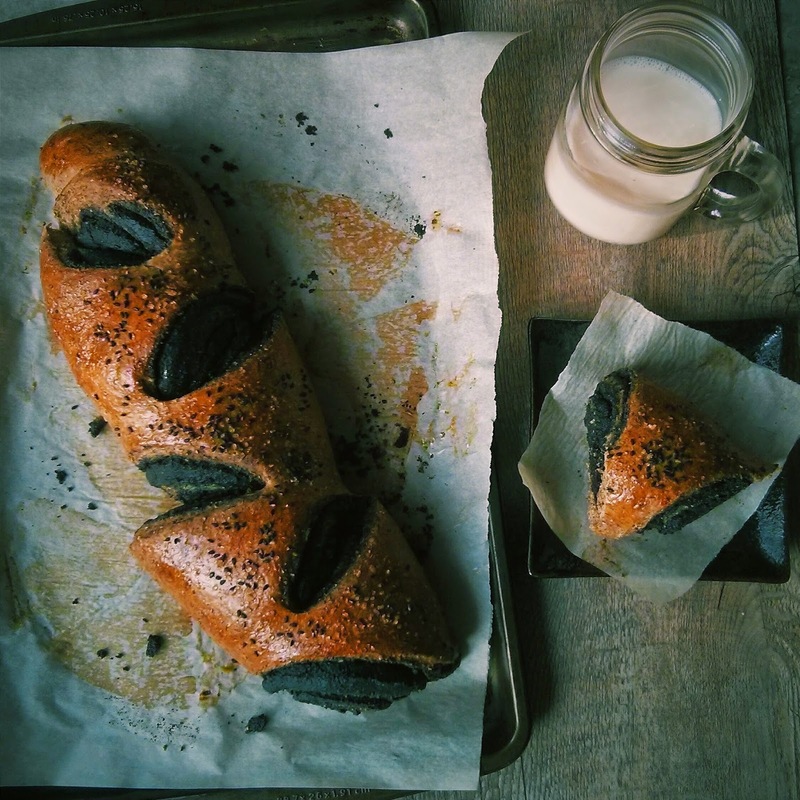 I’m bringing you my love of all things chai, black sesame & carbs to present to you…chai black sesame pulla! What is pulla? I’ve never heard of it either, until I stumbled across Pinch of Yum’s stunning loaf. According to Wiki it’s a mildly-sweet Finnish sweet bread, flavored with crushed cardamom seeds and sometimes raisins or sliced almonds. This bread neither has cardamom nor raisins nor almonds so I don’t know if this qualifies as pulla anymore, but let me tell you, this is one of my favourite yeast doughs to work with, bake, and inhale. 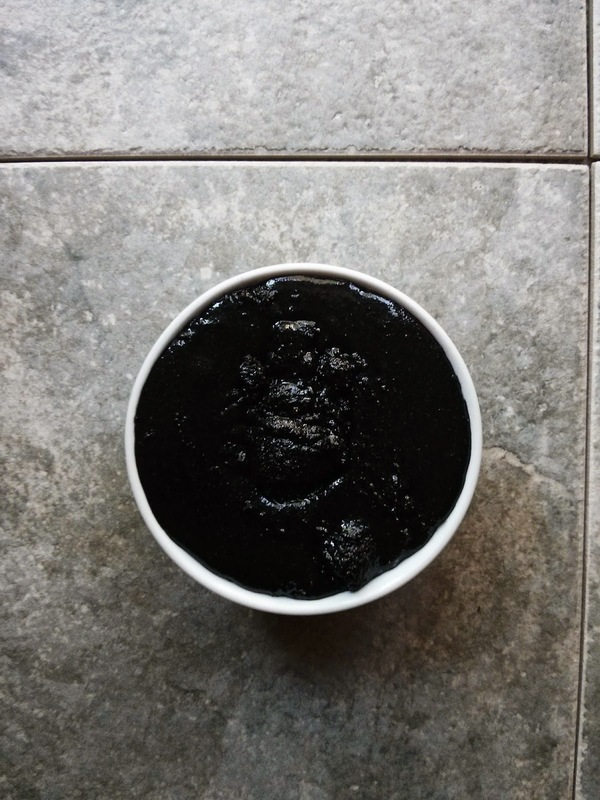 If you’ve never had black sesame… there should be a big of a cult following as peanut butter has. It’s… nutty. Earthy. Complex. A real gripe I have when I purchase stuffed bread from bakeries is when there is not enough filling. As you can see from the pictures, my ratio of 99:1 filling:bread might be too much for some, but hey, black sesame’s healthy, right?! Some key tips: try to keep a moist, wet dough– this is needed for the dough to rise properly, so be light handed with the flour. Be patient and let the bread rise. I often find an hour for the dough to double isn’t quite enough, so I just let it go for 2 hours. I’ve read before that a too long rising time is attributed to a yeasty taste, but that hasn’t happened to me. This dough is a great one to keep in your repertoire (think: frangipane filling, brandied raisins-studded, cinnamon-sugar filling, nutella + peanut butter…). I’d love to see what flavour combos you come up with! Dissolve the yeast in the warm water (~110°F). If you’re paranoid about your yeast (as I am), add 1/2 tbsp white sugar and wait ten minutes. If you see signs of life (ie. bubbles) you should be good to go! If not, no fear, just start again. Transfer yeast mixture to the bowl of a stand mixer. Scald your milk, then add the contents of 2 chai teabags into the milk. Let it steep and cool down. When it’s lukewarm, add the milk (tea leaves and all), sugar, salt, eggs, and 2 cups of flour and mix on low speed until the dough is smooth and elastic. Add 3 cups of the flour and mix at a slightly higher speed; the dough should be quite smooth and glossy in appearance. Add the melted butter and stir in well. Mix again until the dough looks glossy. Stir in the remaining flour until a stiff dough forms. Turn out the dough onto a surface LIGHTLY dusted with flour. Gently toss it around a few times so it becomes lightly coated with flour. Place back in the mixing bowl, cover, and let the dough rest 15 minutes. Knead (with your mixer if possible) until smooth and satiny. Gotta develop that gluten.For KitchenAid mixers, that’s about 5-6 minutes on Speed 2 using the dough hook. Place in a lightly greased mixing bowl, cover with plastic wrap or a damp towel, and let rise in a warm place until doubled in bulk, which may take anywhere from 1-2 hours. It should be soft and workable. On a floured surface, divide the dough in half for 2 loaves. Use a scale if you want to be super precise. For each loaf, take one part at a time and roll it into a large rectangle. Spread generously with black sesame filling (see below), and roll into a log starting on the long side. You can use the short side, but the baking time will take -much- longer. Place seam side down on a baking sheet lined with parchment paper. Cut diagonal slices, alternating sides, down the roll.Arrange the cut sections so that they lean to alternating sides. Let rise for 30 minutes. This step is essential if you want fluffy, well-risen bread. Preheat the oven to 375 degrees. 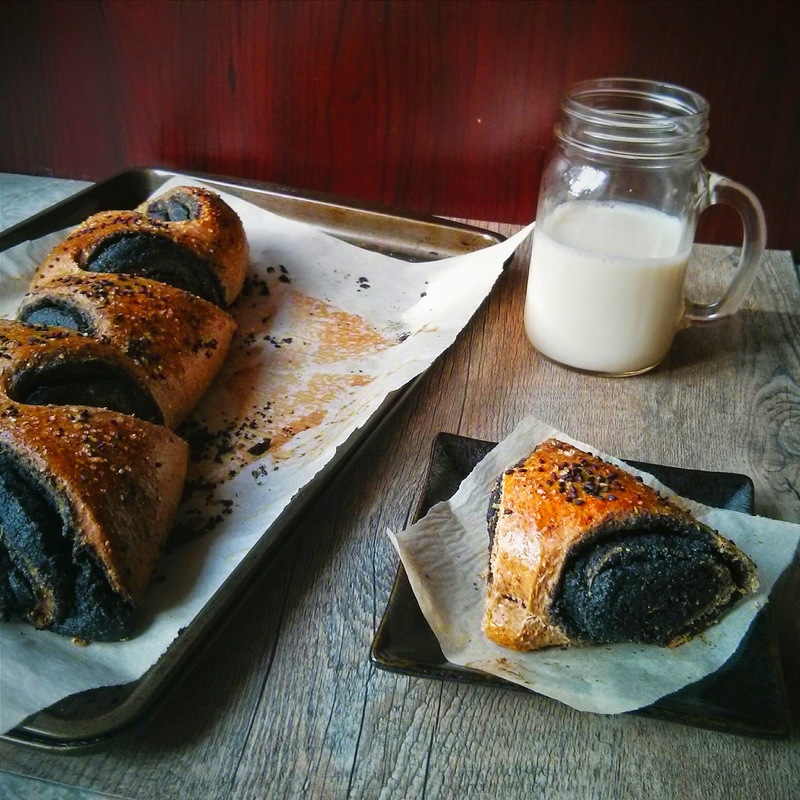 Brush the loaves with the beaten egg, and sprinkle with black sesame seeds. Bake for 20-30 minutes on a baking stone or baking sheet lined with parchment paper. Do not overbake or the loaves will be too dry. Remove from the oven when a light golden-brown. Slice or pull apart and serve. Enjoy! In a food processor (or blender), pulse sesame seeds for 5 minutes. It will reach a stage where it’s sandy, and you want it to cross over to the satiny, liquid, gloppy stage, which will take some patience and more blending. Blend in the honey to taste.